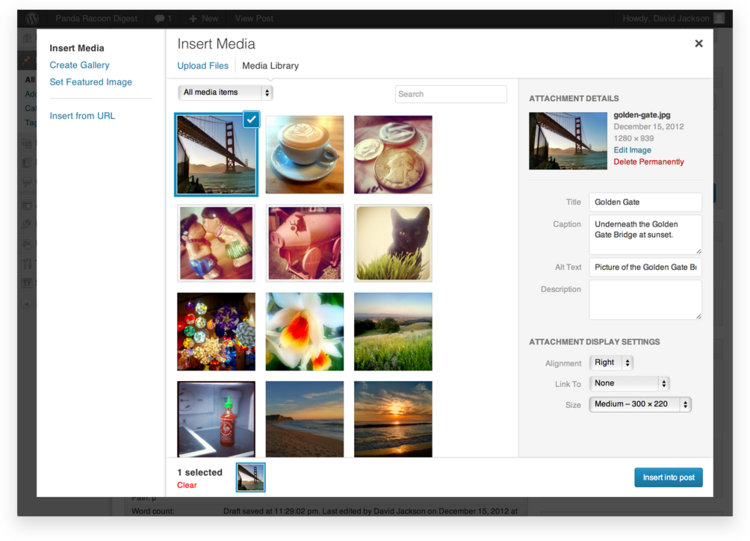 When creating or editing a WordPress page or blog post, you can easily add images at any time using the WordPress Media Uploader tool. Here’s how to add an image, step-by-step, using the media uploader. There are also action links that allow you to Edit Image, which takes you to the Edit Image page, or to Delete Permanently to remove the image from your site. For more information on these media settings, see the Edit Media page. 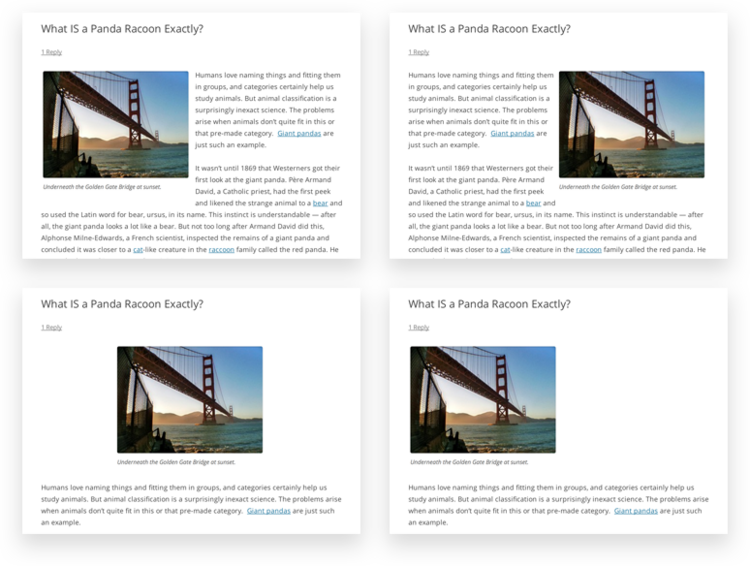 You can visit the Settings>Media section of your WordPress dashboard to customize the above image sizes. At any time, you can edit the image settings by clicking on the Edit Image button in the upper right-hand corner. You can remove the image from your page/post by clicking on the Remove Image button.